XENIA — The Xenia Police Division held a swearing-in ceremony for a pair of recently promoted officers. Gary Johnson was promoted from sergeant to captain and will oversee patrol services, while Matthew Foubert was promoted from officer to patrol sergeant. Johnson has 31 years of service with the division. 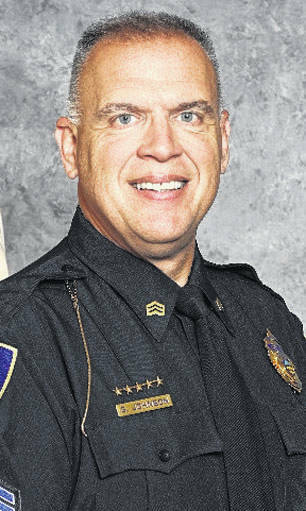 Throughout his career, he has served as field training officer, evidence technician, detective, hostage negotiator team commander, special technology unit commander and most recently, patrol sergeant. Foubert has 23 years of service with the division. 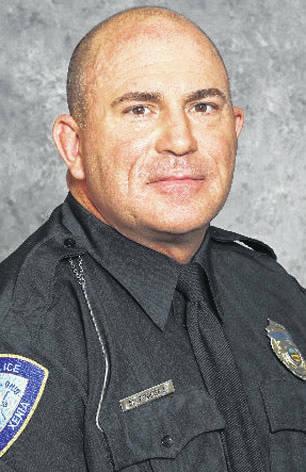 Throughout his career, he has served as field training officer, evidence technician, blood alcohol concentration operator, bike patrol and most recently officer. They were sworn in March 22 by Xenia Municipal Court Judge Michael Murry.